McMillan Creek Regional Park is situated within the City of Prince George . The Park is accessed via the Hart Highway 97 North off Hoferkamp Road. 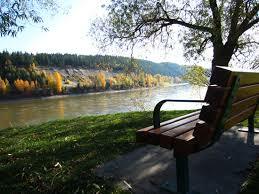 The Park includes the Nechako River cutbanks, and provides a scenic view of Prince George and surrounding landscapes. McMillan Creek passes through a deep ravine surrounded by towering Douglas fir trees. The creek is an important habitat for rainbow trout and provides valuable spawning beds. A scenic 2.5 km trail system, starting at the main parking lot, winds through several ecosystems allowing an opportunity to view various different plant species. A shorter, and much easier, 1 km trail brings you directly to the lookout on the cutbanks. 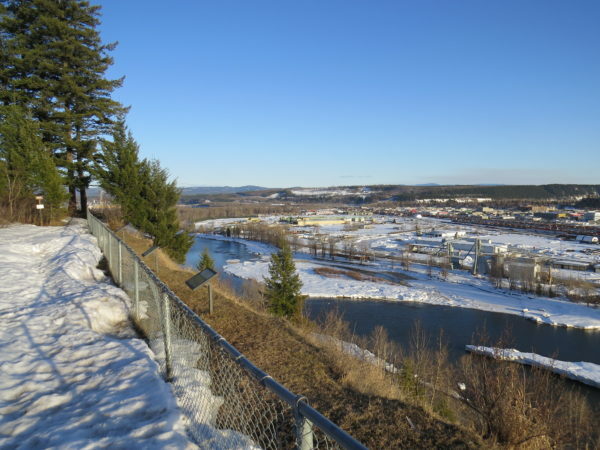 Facilities include a picnic table, toilets, interpretative signs regarding the geographic history of Prince George and a safe and scenic view of the city from the cutbanks.